The last make up look I did was using the Naked 2 palette and it was insanely popular. You guys loved it but if you haven’t seen it then click here. I mainly used my BH Cosmetics palette to create this look. It’s perfect for things like this because you tend to need different shades of colours in order to get a real soft gradient of colour! I used a transition colour which was a few shades darker than my skin colour and then I applied a vibrant lime green colour all over my lid. 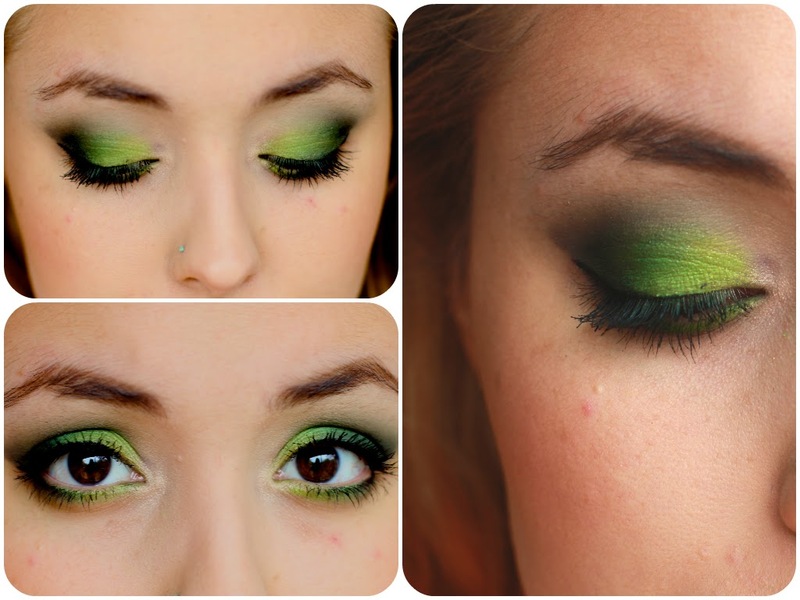 I blended a darker more khaki like green into my crease and blended it into my transistion colour. I then built up the colour from light to dark on my lid going into black on the outer v. I did the same on my lower lash line in order to balance the eyes out. I put a tiny amount of black liner on the top lash line but kept it super thin because it really doesn’t suit my eyes. If you were to add a pair of false eyelashes then I think this could really make this eye look pop. Finally, I used a little Nars Laguna Bronzer and a small amount of Bourjois blush in Rose Coup De Foudre. I then wore Bobbi Brown Bare Pink topped with an NYX lip butter. absolutely stunning, they make your eyes pop! These shadows are so pigmented! The looks is beautiful!